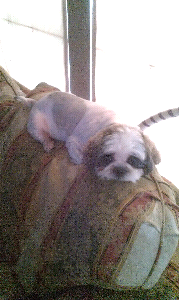 Bentley is pouting because he doesn't like his haircut. I think he looks cute. What do ya'll think?